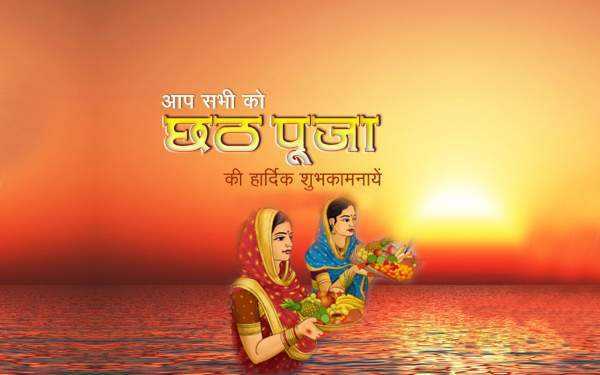 Chhath Puja 2018 Dates, Vrat Vidhi, Significance, Benefits, History, Surya Sashthi: Chath Pooja, one more important festival of Hindus has arrived. However, it is mostly celebrated by people living in and around Bihar & Mithila of Nepal. This festival is observed to worship the Sun God and his wife. In 2018, Chath Puja falls on November 13. Devotees perform the Chhath Pooja by seeking blessings from the God Sun and thank him for supporting life on the Earth. Hinduism mentioned the Sun as the symbol of healer of many severe health conditions, longevity, prosperity, progress, and well-being. On this festival, people follow a rigorous schedule of four days. The rituals consist of various things like fasting (not even drinking water), holy bathing, offering prayers at the time of sunrise and sunset, and meditate in water for long hours. 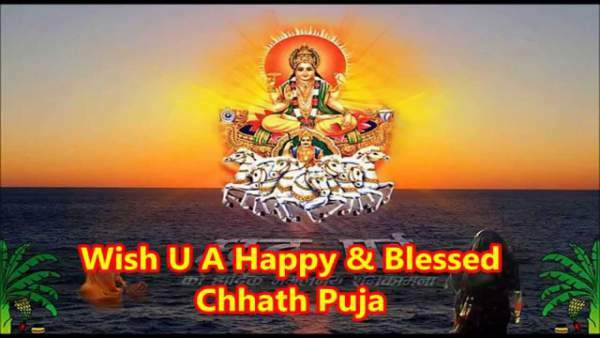 Share: Chhath Puja Wishes. Not only Bihar, the parts of Jharkhand, UP, Nepal, Madhya Pradesh, Gujarat, Bangalore, Chandigarh, and Chattisgarh, also celebrated it with great enthusiasm. This festival has got the name as it falls on the sixth day of the Karthika month according to the Hindu calendar, Vikram Samvat. 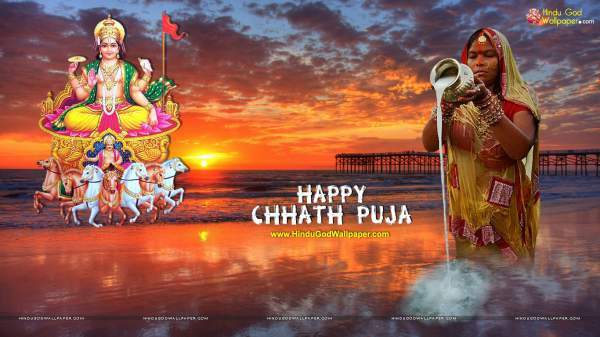 Also: Chhath Puja Images. At some places, it is also observed in summers, after Holi. However, the Chhath of Kartik month is highly celebrated and followed. It is celebrated for four days after Diwali. The rituals and way of celebration of this festival are mentioned below. 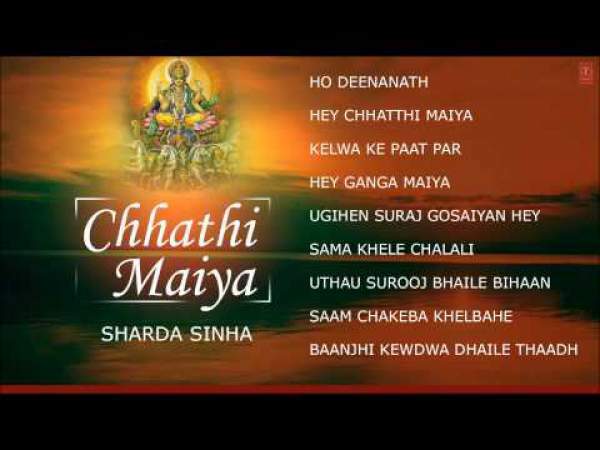 Check: Chhath Puja Songs. Nahay Khay: On the Chhath Puja’s first day, people take a bath in the Kosi river, Karnali, and Ganga. Also, devotees carry the holy water for prayer and offerings. Lohanda: Devotees take up a whole day fast which ends after sunset. People worship the Sun and the Moon and offer them kheer, bananas, and rice. Also, they eat the same with their families. Then, their fast for continuous 36 hours starts which continues without drinking water. Sandhya Arghya (evening offerings): There is a ritual to take a dip in the holy water after preparing the prasad in the evening. During that time, they worship both the Sun God and Chhathi maiyya. After that, they enjoy the folk songs and offer the offerings. Usha Arghya: On the fourth day, people offer morning offerings also known as Usha Arghya to the Sun in the holy water. Only after then, they break their fast. During these four days, the devotees following a strict routine with purity and live frugally. Also, they sleep on the floor with a single blanket. The main festival of Chhath starts on the third day with the Surya Namaskar and offering fruits to the Sun God. Just like other Indian festivals, it is also set in the backdrop of rich mythology. 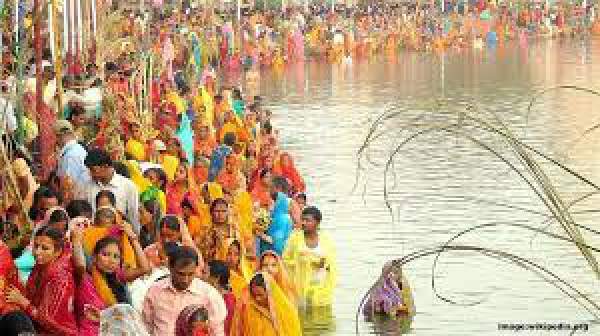 The tradition and rituals of Chhath Pooja can be traced back to the epic Mahabharata era. Draupadi and the Pandavas performed such Chhath ritual to get back their lost kingdom of Indraprastha. A noble sage named Dhaumya gave this advice to them. Another interesting story behind this festival which the history tells us is that the sages didn’t use to take food and channelise the energy of the Sun towards them to survive instead. Another story is that Rama and Sita used to offer prayers to the Sun after returning to Ayodhya past defeating Ravana. The rigorous fasting and refraining from the intake of water in respect to the Sun God is named as Surya Sashthi fast. There is a scientific approach to it. It is that the fast helps in increasing our focus, prosperity, happiness and well-being of body and mind. Devotees also worship Chhathi Maiya during this festival, who is the younger wife of the Sun God and also known as Usha in the Vedas. Stay tuned to The Reporter Times for latest festival news.